This classic guacamole is the perfect appetizer or side dish for any of our meal ideas. Avocado and tomatoes provide the base for this dip while lemon juice, chilies, and garlic bring the perfect blend of flavors. Enjoy with chips, fresh tortillas, or alongside any of your favorite Mexican dishes. 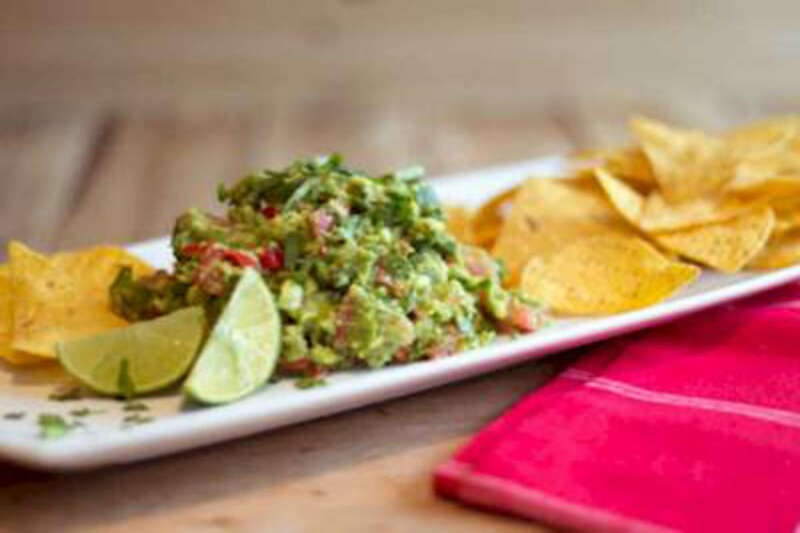 RecipeSavants.com This classic guacamole is the perfect appetizer or side dish for any of our meal ideas. Avocado and tomatoes provide the base for this dip while lemon juice, chilies, and garlic bring the perfect blend of flavors. Enjoy with chips, fresh tortillas, or alongside any of your favorite Mexican dishes. Smart Recipes, Mexican Recipes, Vegetables Recipes, Recipes Vegetables Mexican Chunky Guacamole PT10M Serves 4 Ingredients: 2 Medium Ripe Hass Avocados 1 N/A Lime 2 Medium Ripe Tomatoes .25 Cup Cilantro Leaves 1 Clove Garlic .5 Medium Bunch Of Scallions 2 Medium Jalapeno Chilies 0.33 Teaspoon Salt & Freshly Ground Black Pepper Gently use a spoon to scoop out the avocado pulp from all 3 avocados into a bowl. Add lime juice & zest and mix until well combined. 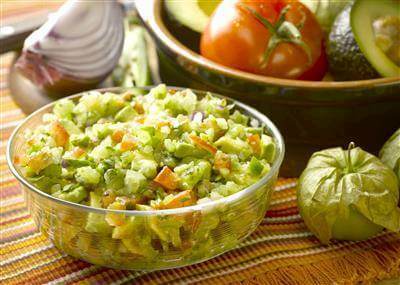 Add chopped cilantro, scallions, tomatoes, garlic and chilies to the avocado bowl and toss to combine. Season with salt & pepper and serve. 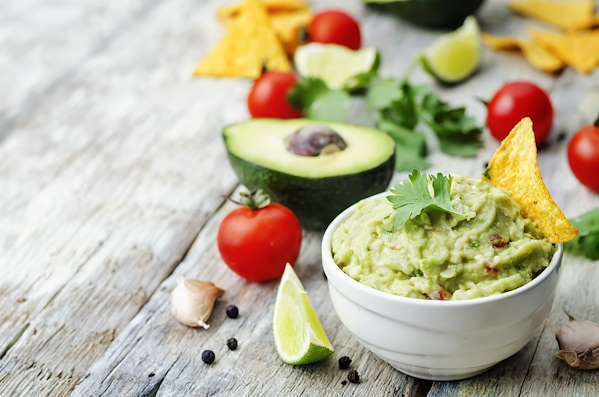 If you enjoyed this easy guacamole recipe, you'll love these fresh ideas! In this classic guacamole, we combine garlic, onion, lemon, lime, jalapeños and chopped cilantro with the mashed avocado. Pair this recipe with crisp corn chips or use it as a topping on your favorite Mexican dishes. 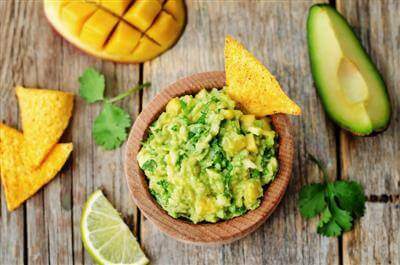 This scrumptious and creamy-chunky guacamole recipe swaps half the amount of avocado with a rich fruit--mango--to add sweetness and cut some of the calories. 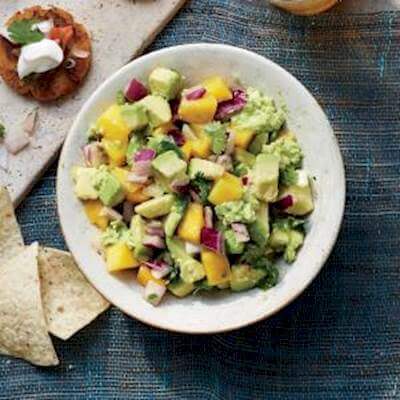 We upgraded the standard guacamole by adding fresh ripe mango to make it sweeter, yet tangy, with a squeeze of lemon juice; for an extra kick, add serrano chili. Serve this sweet and tangy guacamole with vegetable chips, pita chips, pretzels or as spread on bread.